The day had finally come! This wedding was a dream to be a part of. At the beginning of the year at the Vow Bridal Show, Will & Helene were announced as the winners of the Norfolk Botanical Gardens Winners of their dream wedding giveaway! Helene, not being sure what just happened, lingered behind Will who excitedly approached the stage. It was really happening, they had won the 35,000.00 wedding giveaway and they couldn’t be more excited! Marriage is about love and commitment and for Will and Helene the traditional vows, “for richer, for poorer, in sickness and in health,” are especially meaningful. They met in 2010 at work and their personalities clicked immediately. The two began dating and fell deeply in love. Then they moved in together and even adopted a dog. For two years, their lives were blissful and happy. As watching these two become husband and wife, I noticed there was hardly a dry eye there. Their friendship through the years grew into an unbreakable bond that will continue to get them through this life. They make an incredible team and it was a joy to come together and celebrate their story. Their garden-inspired wedding was not only full of beauty and love but also so much joy and celebration. Getting to be a part of this amazing garden wedding giveaway was such an honor. I especially loved being apart of a team of vendors who love and care hard. This incredible day was put on by people who serve selflessly and who bring so much kindness and love to the wedding industry. Will & Helene received many special offers from local wedding vendors and even tons of complimentary services as well. Luke and I revel in the fact that we get to be included in this incredible team of vendors who made their wedding day a success. You were a reminder to us what it means to love. You reminded us what it means to be a friend. We have never met a couple that has such a bond as you do. Cherish that and continue just being you. Thank you for trusting us with your big day. We wish you a lifetime of love and happiness. Thank you to these amazing vendors who came together and served selflessly to make their dream wedding come true! We LOVE shooting at the Norfolk Botanical Gardens! 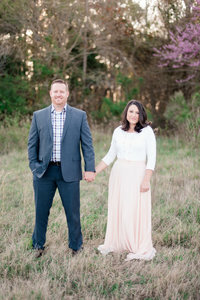 See some more weddings and sessions from there!